What: Geode Table, How to make Slime, Talking Vortex Table, How to Fit your Body through an Index Card, Bubbles, Amazing Levitating Orb, Cartesian Diver and Jitter Rings, Ollie Maze, Salt Water Power Cars, Van de Graff, Pirate Hats, Furniture of NC, Gems of NC- Places to Visit, Businesses of NC, NC Food Products, and Food Trucks! * BSS is excited to host David Brown as the 2019 guest speaker. Mr. Brown will be discussing the present and future of electric cars. 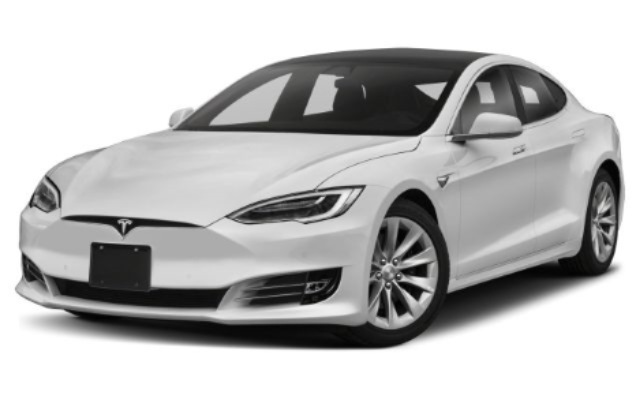 His own Tesla will be on display! 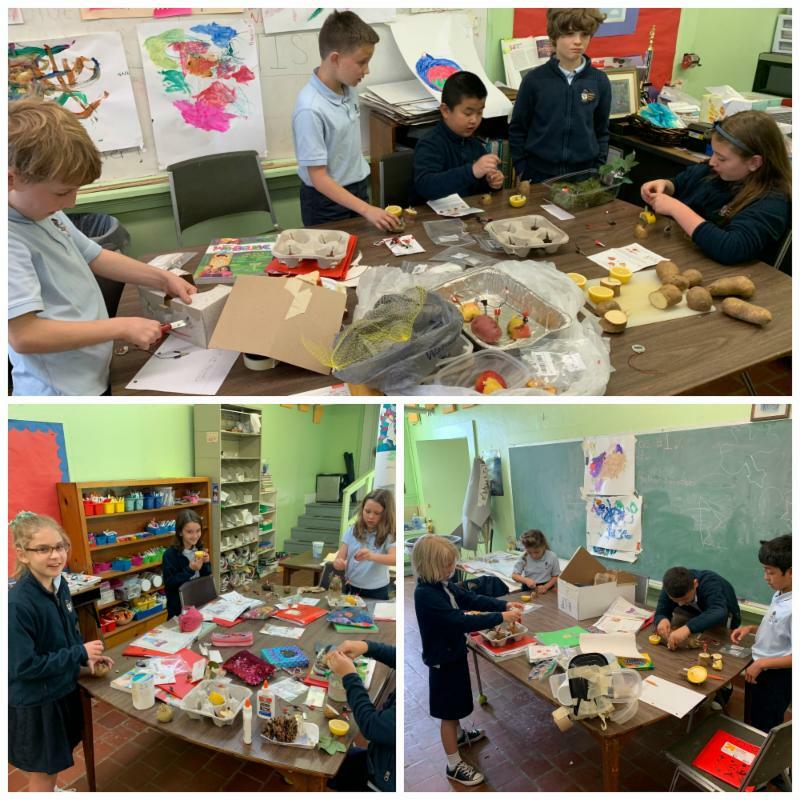 Blessed Sacrament School's STREAM projects will also be on display at the 2019 Burlington's Maker Faire on Saturday, April 13th from 10:00 AM to 4:00 PM at the Holly Hill Mall. Be on the lookup for volunteer sign-up opportunities. There is NO Afterschool Care! Happy Easter and Spring Break! Basketball Fun and Pizza Party for MS students at the Knight Castle! We still have room left! What are your middle school students doing on early release Wed April 17th? Let them have some basketball fun with Coach Cunningham, Mrs Nora, and Mrs Wetter! Limited to 20 students. 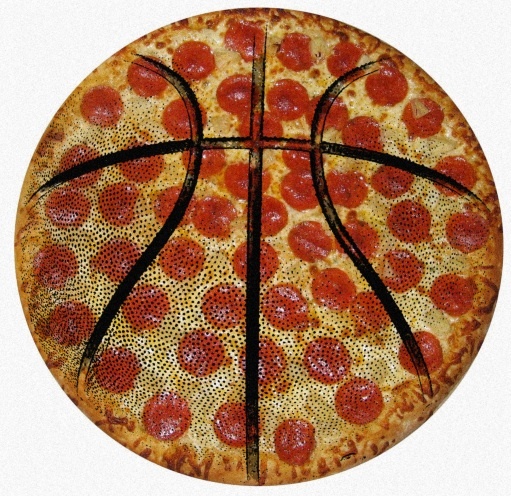 What better way to spend the afternoon then by eating pizza with your friends and participating in basketball activities. 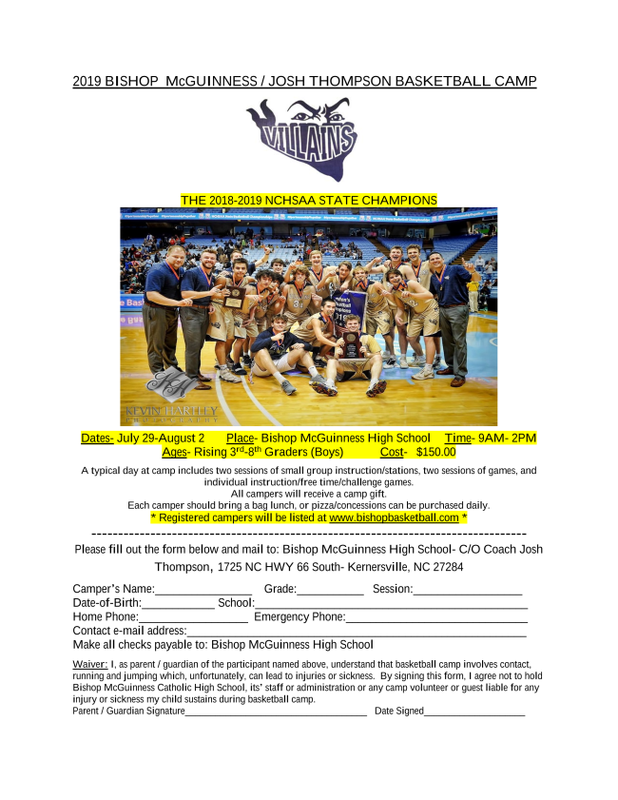 Activities may include musical basketball, all star shoot out, scrimmages, knock out, and shooting games. Who has the best granny underhand shot? Prizes awarded! You do not need to be a professional basketball player to have fun at this party! Grandparents & Special Friends Day, and our Spring Sing will be help on Monday, May 13th. Grandparents Day is from 8:30 to 10:30 AM here at BSS, and the Spring Sing will be from 7:00 to 8:30 PM at the Western High School Auditorium. The Penny Wars Pay It Forward Project was a huge success. 2nd Grade were the winners for elementary, and 5th Grade won for middle school. A total of $1.284.34 was raised. All of the proceeds will go to Catholic Relief Services. Need a night off? Four of our Middle School young ladies are offering babysitting services. They are all experienced and will work in teams of two. They will come to your home and will arrange their own transportation. 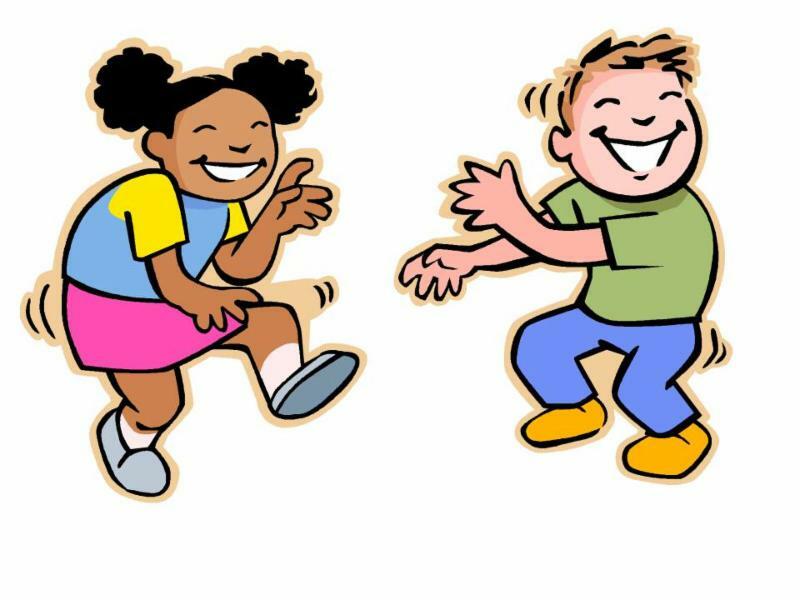 On April 16th Jose, Justin and Ryder will be a hosting an Elementary School Dance for grades 1-4! The cost to enter the dance will be $3. The ticket includes drinks, and snacks. All money will be sent to Catholic Relief Services. 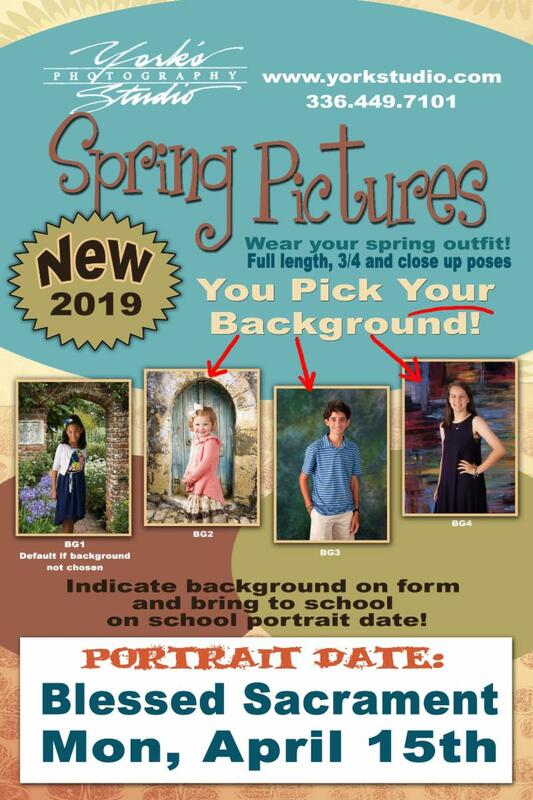 As part of 8 th Grade Religion Project, our team- Eleanor, Quinten, Sean, Paulan, and Tristan, will be sponsoring a C o l o r R u n for all the students, parents, family and friends! 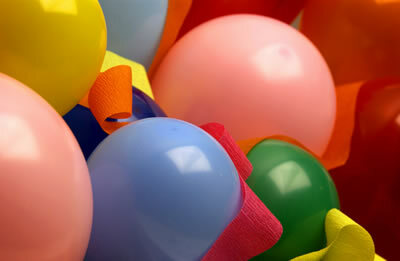 What: You will run/walk a mile in the recess yard while fun colored powder is thrown at you. Feel free to donate! Proceeds will be donated to Color Blind Awareness. The permission slip and money must have been submitted for the student to participate. For my Pay it Forward project, I would like you to create as many Paper Cat Faces as you can, and then when you turn them in to me, a sponsor will donate money. That money will go to the Humane Society to help all the real kitties and puppies. So please help those animals, and make Cat Faces! Go to this website https://www.thesprucecrafts.com/origami-finger-puppet-tutorial-2540979. 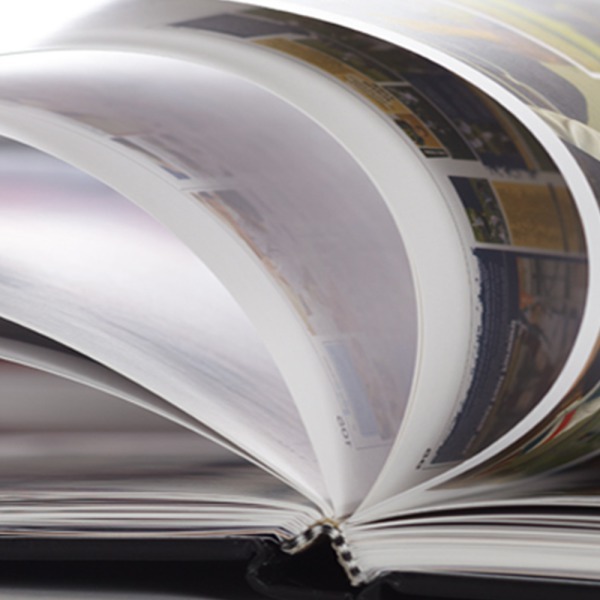 It is not too late to order your yearbook, but there are only 13 left. Don't miss your chance secure lasting memories. When they're gone, they're gone ( click here). A percentage of each gift card purchased through the Scrip Program is donated to BSS. 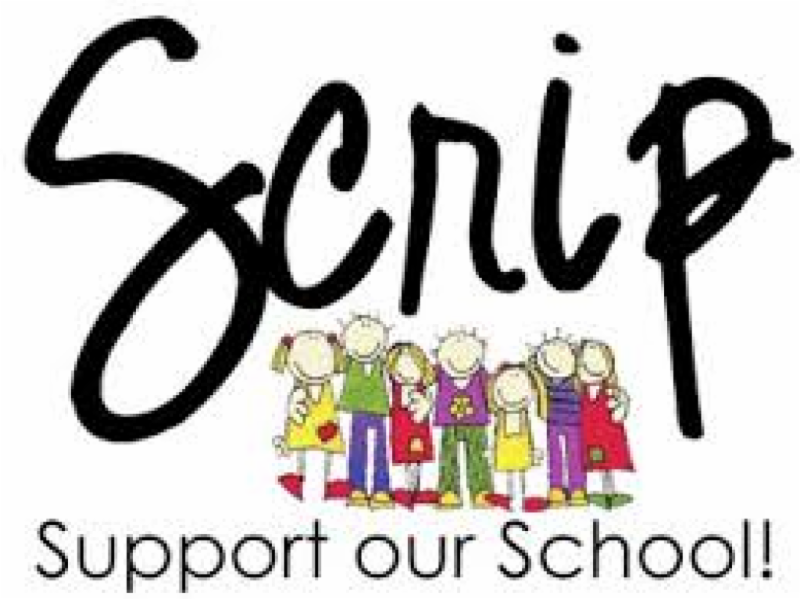 If you would like to order scrip to support our school, please complete the order form ( click here) and submit to the school office with payment. ﻿Jeremy Sears, uncle of Kierstyn (8 th ) for good health. Gomez Family (Wilmer 6th and David, Pre-3) as they mourn the loss of their grandfather, Roger Molina. Please check your email as we have gone online with the 2019-2020 contracts. Please sign as soon as possible. Please contact Mr. Lynch you are having trouble viewing your contract. Thank you. 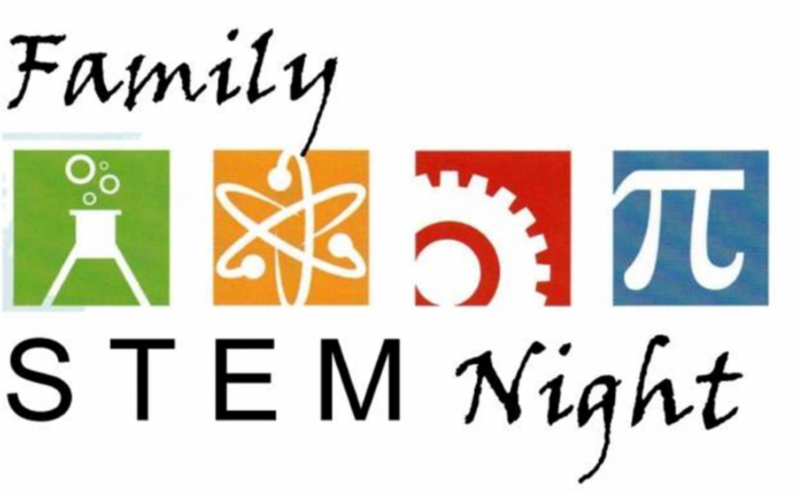 Looking forward to seeing you tomorrow at our STEM Night. 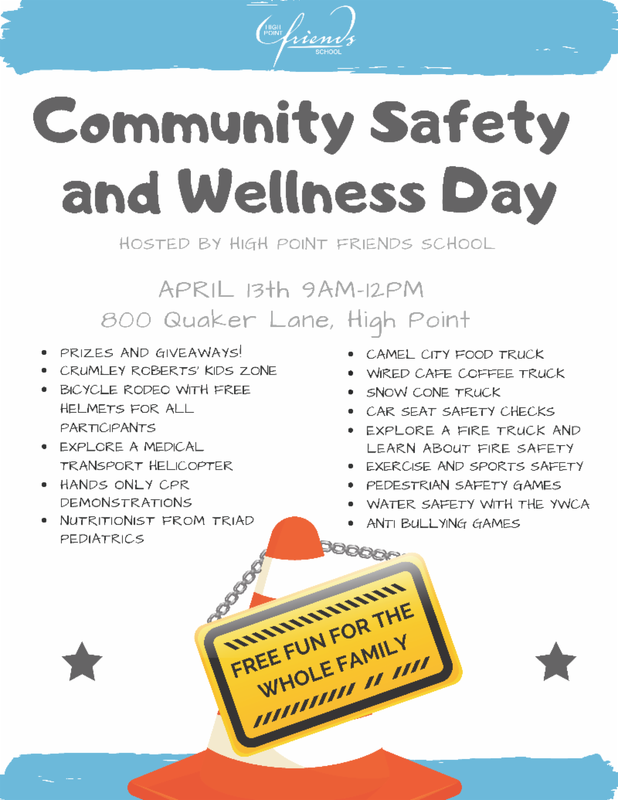 On Saturday, April 13, our exhibits will be on display at the Maker Faire at Holly Hill Mall from 10:00-4:00. 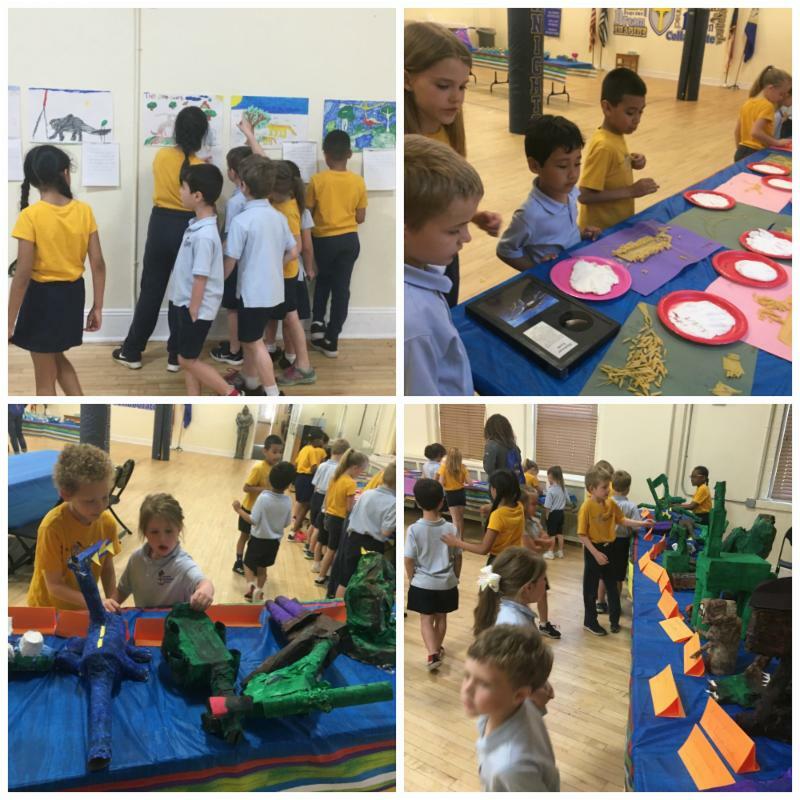 The 2nd grade classes hosted the Dinosaur Expo. They displayed all of the projects they created while learning about dinosaurs, and invited other classes and family members to attend. 3rd Grade STREAM Project with Mrs. Wetter: "Spud Buddies"
Our 3rd graders discussed loving ways they could be like Jesus and help the world. Their Spud-buddy creation has a potato battery and a mission to save the world! 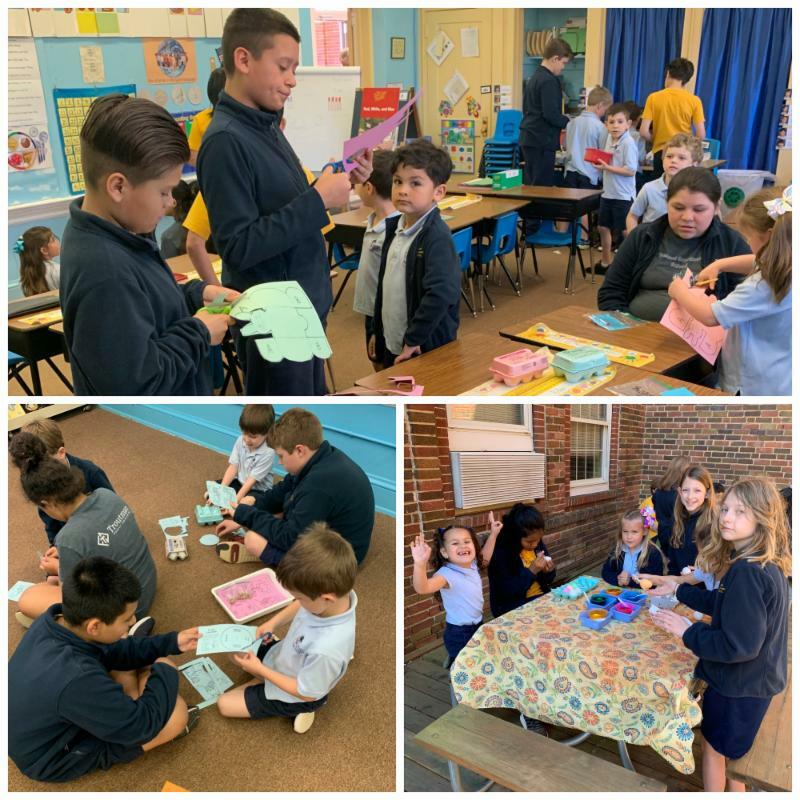 6th graders worked with the kindergarten class decorating Easter Eggs. 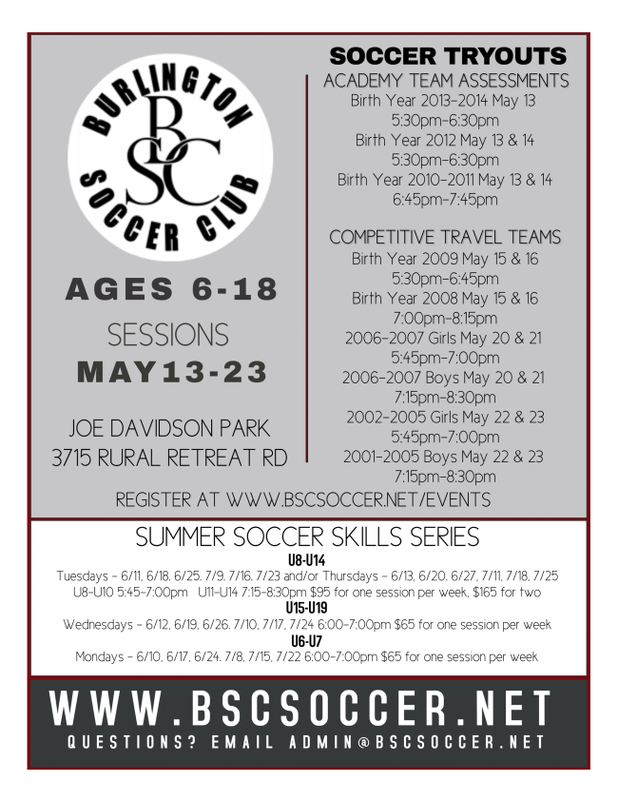 2019 Knights of Summer Registration is open! Good News from Troop 9. 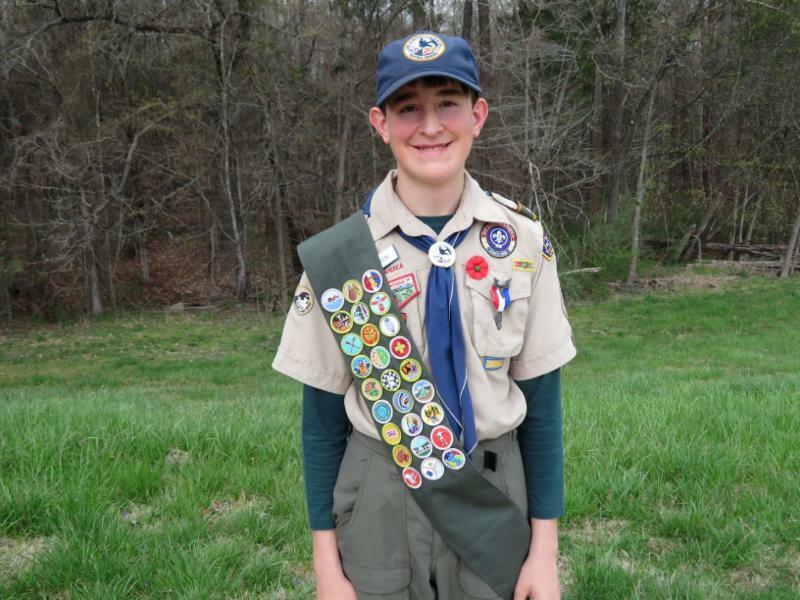 Troop 9 awarded Jackson Benes, his Eagle Scout Rank. Jackson earned 27 merit badges in addition to completing his Project. Jackson's project centered on the Flag Retirement Program. He built a flag retirement box for the VFW and Margin Corps League, Webb Ave, conducted 2 Flag Retirement Ceremonies, and set up a retired Flag Collection Program with the Knights of Columbus. Congratulations to Eagle Scout Jackson Benes. 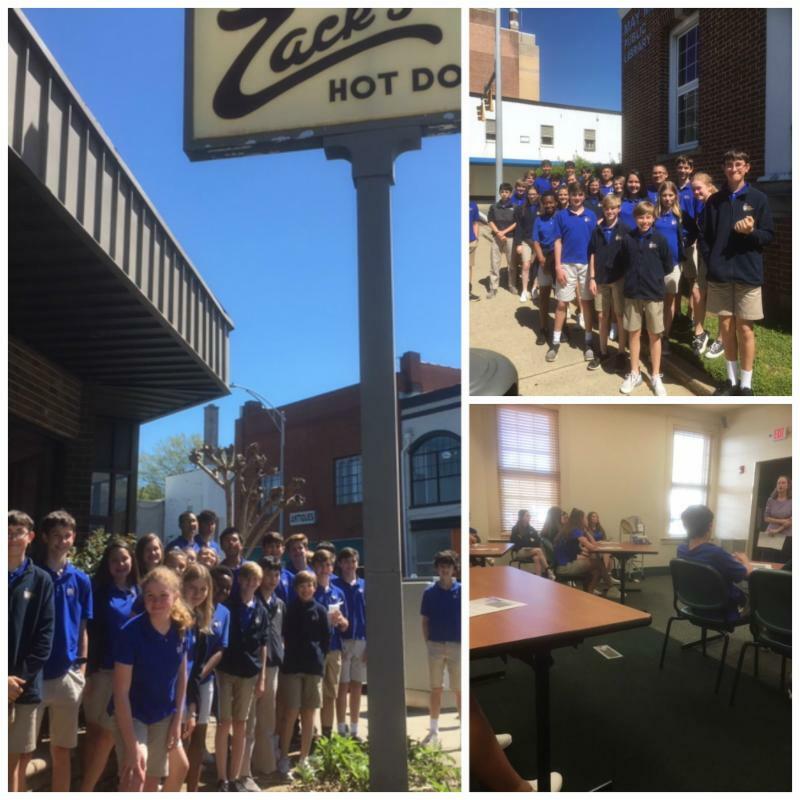 Middle and High school youth are invited to go our Blessed Sacrament Youth Ministry Spring Trip to the North Carolina Zoo on Saturday, April 13th. There is room for 40 youth and 10 adult chaperones. Cost is $13/person. A bus will be provided for transportation. RSVP by April 5th to Leo Quinn 336 226 8796 to reserve a spot. 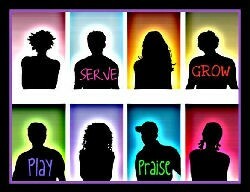 Inviting all 6th, 7th and 8th graders to join "The Edge" Junior Youth Ministry (JYM). Get to know other youth of our Parish community while having fun participating in social and service activities and learning about our faith. Meetings are at the school on Fridays of the second week of the month from 5:30 - 8 pm (includes pizza supper) and on the 1st Sunday of each month from 6 - 8pm. Participants can choose which session they would like to attend. Each participant will receive a USA Basketball T-Shirt. 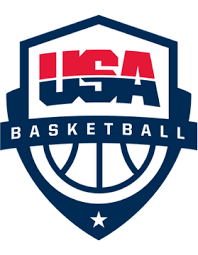 USA Basketball will supply basketballs, participants do not need to bring a ball. Each participant must have a signed waiver on file before participating. Brian Robinson, USA Basketball Youth Regional Coordinator, will be the head clinician at each site. Other clinicians will all be certified USA Basketball Gold License coaches.